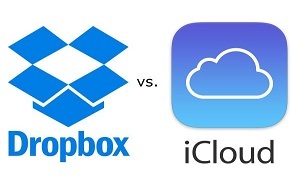 Wanna upload photos from your iPhone to Dropbox as a backup but don’t know how? 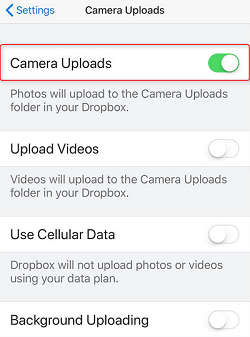 This article can offer you the detailed steps on how to upload photos from iPhone to Dropbox quickly and easily. 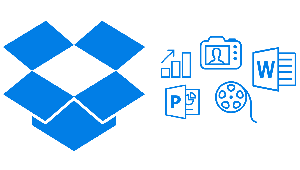 Dropbox can be considered as one of the best cloud storage services for users all around the world. 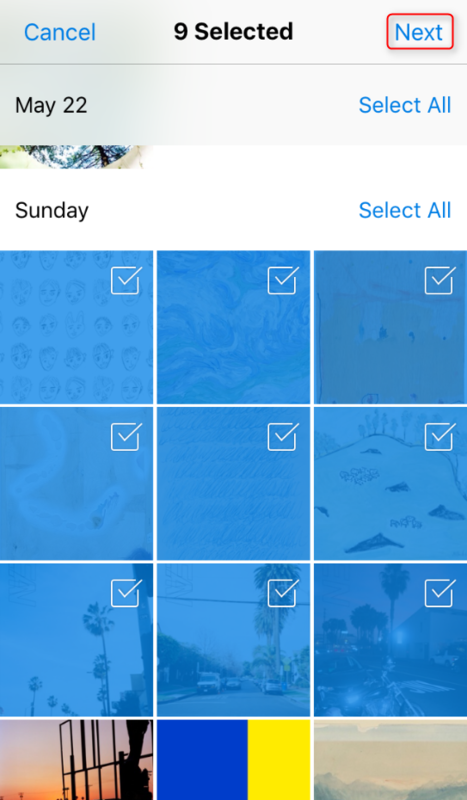 With a fast sync speed, ease of use, block-level copying, it is a great option for iDevice users to create a backup for their photos and access those photos at any time and place on Dropbox. However, as Dropbox has so many features which may constantly update, it may still be a little complex for users to get the right method to upload photos from iPhone to Dropbox. Thus, to solve all your questions and help you get a handy way, this guide will show you three simple ways on how to upload photos from iPhone to Dropbox directly. 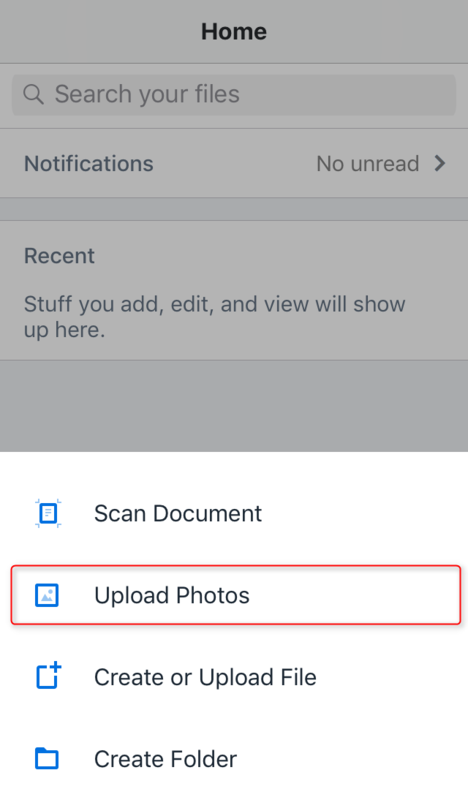 For iOS users, Dropbox owns a useful feature named camera uploads which can assist you to automatically upload your photos and videos on your phone into your “Camera Uploads” folder on Dropbox. 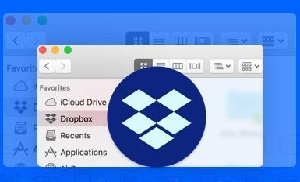 Moreover, one thing you ought to know is that this feature is available for Dropbox Plus and Professional accounts or Dropbox Basic accounts with a Dropbox-connected computer. You can follow these steps below to have a try on how to upload photos from iPhone/iPad/iPod to Dropbox automatically. Step 1 Open Dropbox app on your iPhone > Tap your account. Step 2 Tap Camera uploads > Toggle Camera Uploads on. Step 1 Open Dropbox app on your iPhone > Click the plus (+) icon in the middle > Tap Upload Photos. Step 2 Select the photos > Click Next. Step 3 Choose the folder where your photos would be uploaded > Tap Upload. 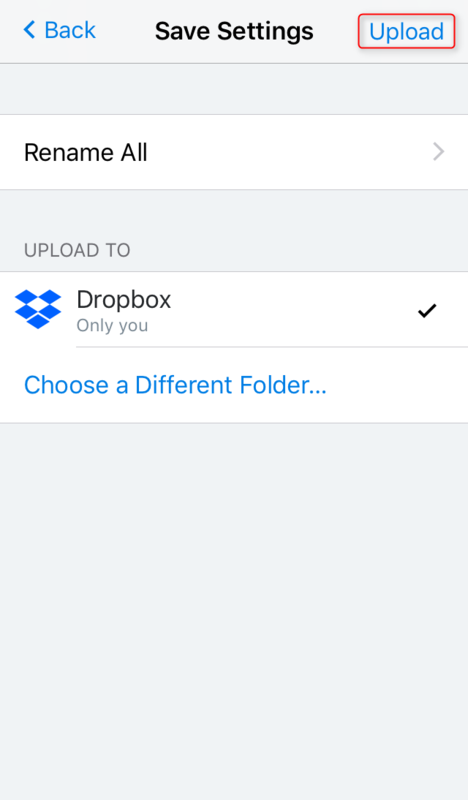 Upload photos from iPhone to Dropbox in a speedy way. You can preview the photos and upload them all at once. Guarantee absolute security and safety. By applying the most unbreakable security technologies, AnyTrans for Cloud protects your files in the whole upload process. Manage diverse cloud accounts in one tool. 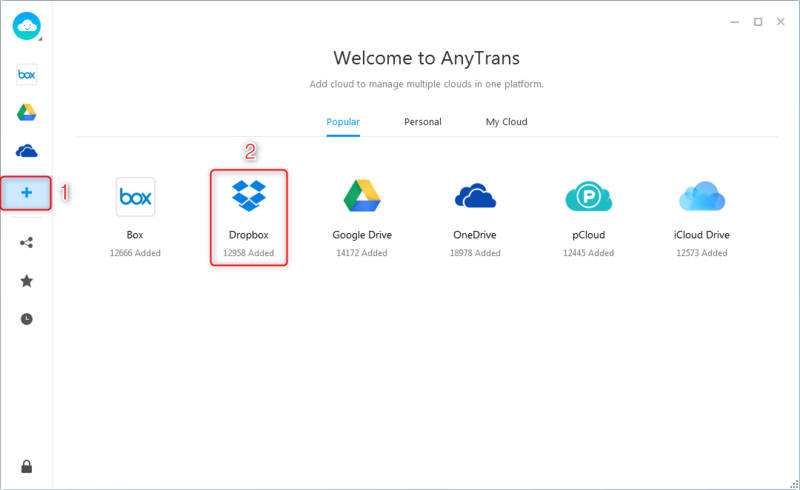 By using AnyTrans for Cloud, you can easily manage all your cloud accounts like Google Drive, OneDrive, Dropbox, etc. You can sign up for totally free AnyTrans for Cloud now, and follow the steps below to upload photos from iPhone to Dropbox. Step 1 Install and launch AnyTrans for Cloud on your PC/Mac > Login with your AnyTrans for Cloud account > Plug your iPhone into the computer. Step 2 Click the “+” to add your cloud account > Choose Dropbox > Give your authorization to AnyTrans to assist you to upload photos from iPhone to Dropbox. Step 3 Enter your Dropbox account > Click Upload > Choose the photos in your iPhone > Click Open to start uploading. 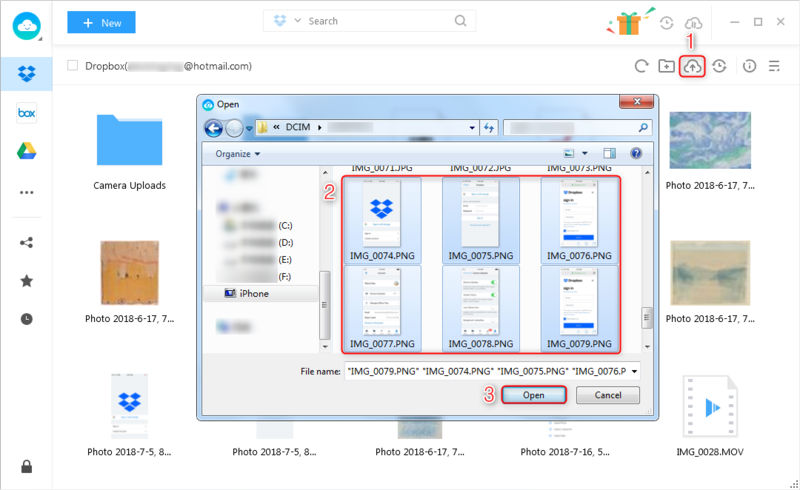 As you can see in this article, three ways on how to upload photos from iPhone to Dropbox simply have shown. You can choose the one that fits your need. 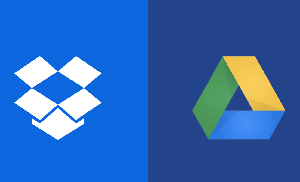 Besides uploading photos to Dropbox, AnyTrans for Cloud can help you sync files from one cloud accounts to another. 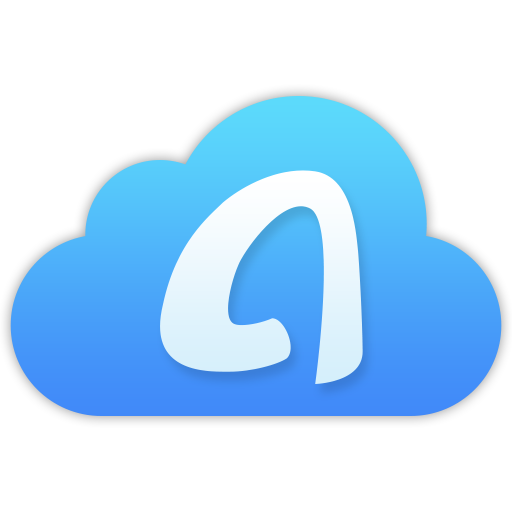 Now sign up for AnyTrans for Cloud which is totally free and enjoy managing all your accounts at one tool!